For the first time, a human baby has been born who was created with three separate sets of parental DNA. 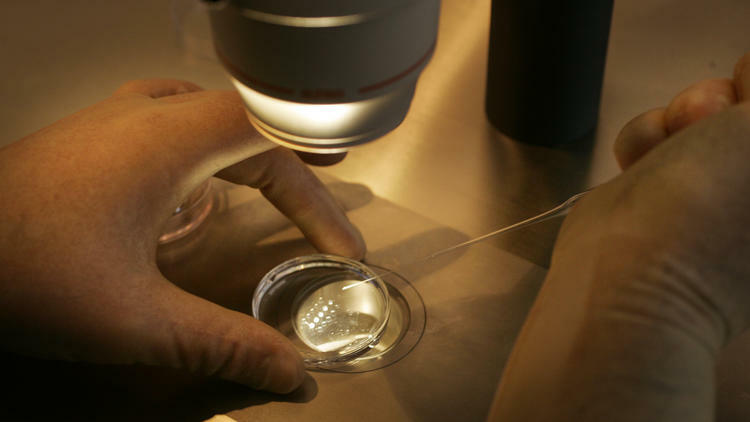 The baby was made from the DNA of the biological mother and father as well as from the woman who was the egg donor. However, the parents DNA was nuclear while the donor’s DNA was mitochondrial. The new healthy baby is a boy. The nuclear DNA contains the 23 pairs of chromosomes that determine everything from hair and eye color to height and facial features. The mitochondrial DNA. however, contains only 37 genes total. The mitochondrial DNA is directly passed on from mother to baby and is responsible for the energy production of the body’s cell structures. The nuclear DNA mother wanted to avoid this direct mother to baby pass down which is why they got the egg donor mother. The mother suffers from a neurological disease that has already cost her the lives of two of her previous children who died at 8 months and 6 months respectively. 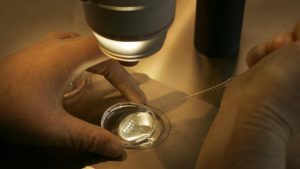 Both the woman and her husband decided to seek out a woman with healthy mitochondrial DNA to be an egg donor for their next child. The study that produced the child took four donor eggs and scientists removed the nuclear DNA from them. They were then fertilized with the father’s sperm as well as replacing the donor DNA with nuclear DNA from the mother. A jolt of electricity fused the mother’s DNA into the eggs properly. Three of the eggs were not developing properly. The fourth proved viable and without any mitochondrial DNA or chromosome problems. The egg was then implanted into the mother’s womb. The child was born 37 weeks later in what was described as a pregnancy that experienced few, if any, problems along the way. This is the first healthy birth using this method. The study, and the birth of the child, happened in Mexico since such a procedure is illegal in the United States of America.